In the United States, the estimated number of new cancer cases in 2018 will be approx. 1.7 million. Historically, combination chemotherapy has been the primary choice of treatment. However, chemotherapeutics have pharmaceutical limitations, among which include problems with stability and aqueous solubility. Likewise, dose limiting toxicity is significant with nonspecific toxicity to healthy cells, hair loss, loss of appetite, peripheral neuropathy and diarrhea being typical side effects. The emergence of Multidrug resistance (MDR) also presents s a significant challenge for the successful treatment of cancer whereby cancer cells become cross resistant to many of the chemotherapeutic agents used. Nanotechnology presents a new frontier for cancer treatment. It holds potential in minimizing systemic toxicity through the development of functionalized particles for targeted treatment. They also provide an alternative strategy to circumvent multidrug resistance as they have a capacity to by-pass the drug efflux mechanism associated with this phenotype. 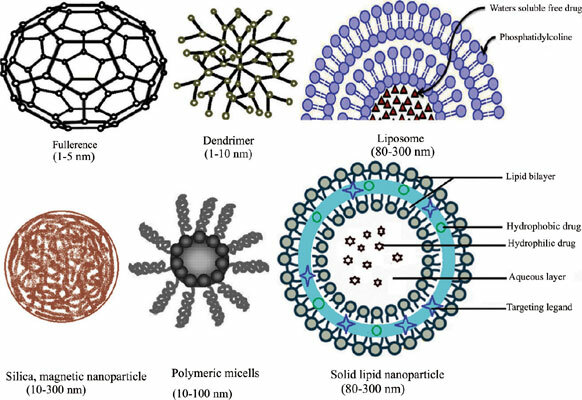 Aside from the advantages they offer in treatment, nanoparticles are also emerging to be valuable diagnostic entities. This article highlights the various ways nanotechnology is being used to improve the treatment and management of cancer. We also discuss the opportunities and obstacles in this area and provide an up to date review of progress in the treatment of cancer. Cancer, carbon nanotube, cellular targeting, chemotherapy, diagnostics, extracellular vesicles, MicroRNA, microparticles, multidrug resistance, nanomedicine, nanoprarticles, P-glycoprotein.